The best way to avoid addiction is to avoid taking codeine. Codeine is an opiate drug and like all opiates, it has the potential to lead to abusive behaviors, tolerance, dependency, and addiction. Whether prescribed or not, opiate drugs have become the number one problem for addictions in the United States and other countries as well. Codeine works as a narcotic analgesic for pain by blocking signals between the brain and central nervous system (CNS). As a CNS depressant it suppresses cough stimuli when other cough suppressants are ineffective. The defining characteristic of addiction, according to the National Institute on Drug Abuse, is “an inability to exert control over the impulse to use drugs despite adverse consequences.”, in this case, codeine. Codeine addictions result from individuals developing a tolerance and dependency to the drug. It doesn’t matter how you became exposed to the use of codeine, when you use it repeatedly, you develop a tolerance and can no longer get the same effect without increasing the dose. Increased amounts of codeine causes changes in the brain and its natural production of dopamine which is a chemical we naturally produce to heighten our pleasure during activities that we enjoy. It also is a primary chemical involved in motor functioning and in controlling the release of several important hormones that give us a sense of wellbeing. Physical and psychological dependency develops when these balances of dopamine are disrupted by codeine use and our bodies decrease natural production, relying on codeine for the production, instead. 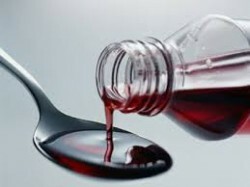 When codeine use is stopped the imbalances cause withdrawal symptoms that can be painful and unpleasant. Do not abuse codeine by taking more than prescribed, for longer periods, or recreationally. Once pain or cough is under control, discontinue use and contact physician if current dosage is ineffective. Abstinence from codeine and other opiates is needed to preventing codeine addiction. If a dependency has developed, withdrawals, to some extent, will be imminent, but, this is a better choice than continuing to use codeine. Stop using codeine if you develop cravings, fear of running out, obsess over next dose, or begin to experience other unwanted physical or mental side effects. Do not use codeine other than its intended purpose such as to relieve psychological disorders of depression, anxiety, or inability to cope with current circumstances. Do not get involved with other opiate abusers. This is often the major cause of addiction as drugs are frequently traded, discussed, or used because this can be a catalyst to abuse.